Nokia has concentrated on the amelioration of its HERE Maps after its phone division was acquired by Microsoft Corporation. 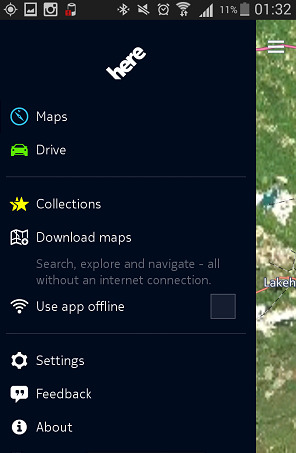 Previously HERE Maps was exculsively for Nokia manufactured Windows Phone but now the app has been made available to Android users as well. iOS users will also get their version in early 2015. HERE Maps is the global navigation and positioning application that facilitates mapping and voice enabled navigation system. 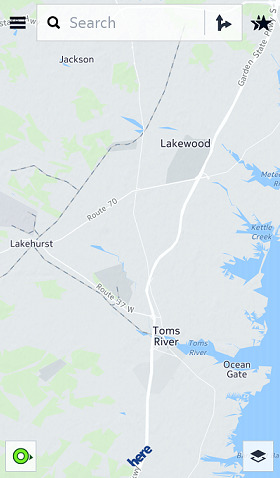 When you install Here Maps in your Android device, you will be prompted to sign up or Sign in. You can either sign up in the conventional way or using Facebook. I think the later one will be more helpful. Here will send an email to the email id registered with your Facebook account to confirm. From then, you can use the application. You will get plethora of features available in Here maps. If you tap on the double star icon, you will be taken a new tab where you can select from All Time Favs, To do list and Your neighborhood. The most interesting feature of this app is the three different types of view supported. 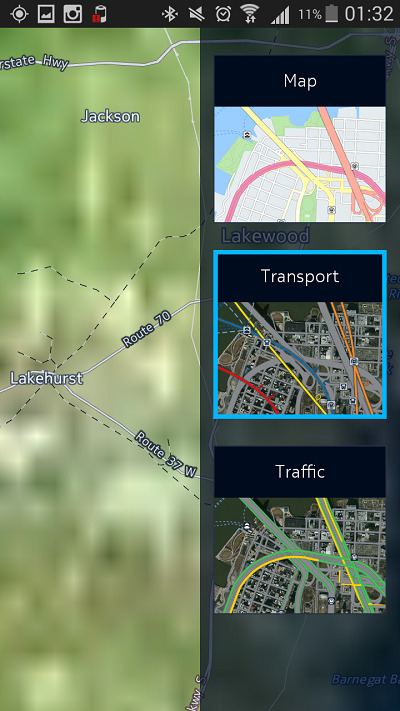 The Map View, the Traffic View and the Transport view. In the Settings the app facilitates copious numbers of features. You can check the traffic and the car routes, download certain map and use the downloaded maps offline. The Setting options let you choose the location where you want to download your Maps. 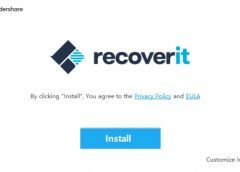 If you have an external memory storage, always choose that because usually maps occupy a considerable space. So storing them in the phone is not a good idea. You can also change Units, clear history, customize switching between day and night and many more. You can download maps and use them later on in offline mode. To ensure proper download, check if the storage location has enough space otherwise you won’t be able to download your desired Maps. HERE is available to 118 countries and additional 18 countries have been included in the list. The countries are Algeria, Angola, Bangladesh, Burkina Faso, Côte d’Ivoire, Cyprus, Iraq, Libya, Mauritania, Mauritius, Nepal, Paraguay, Saint Helena, Senegal, Sri Lanka, Suriname, Zambia and Zimbabwe. You can view locations and share them with your friends and family via integrated Glympse messaging app, download Maps and so on. The app is absolutely free of cost. You can know more abou the app from the video below. 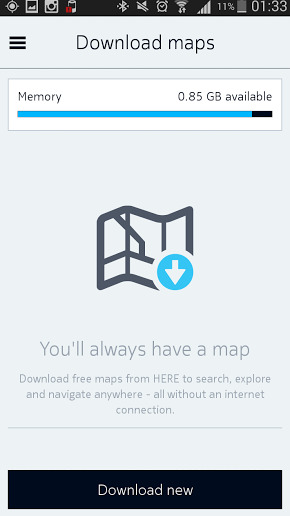 You can download the Beta version of HERE Maps from Google Play Store.